Now that the lakes are warmed up- and already warm enough to not need the wet suits in facto ur Thursday BRIX@SIX includes open water swimming including entries, exits and turnarounds. Conversation over the last few weeks has us thinking that alternating the BRIX@SIX locations between Lumsdens and Aylesford would make sense since members live at both ends of Kings County. 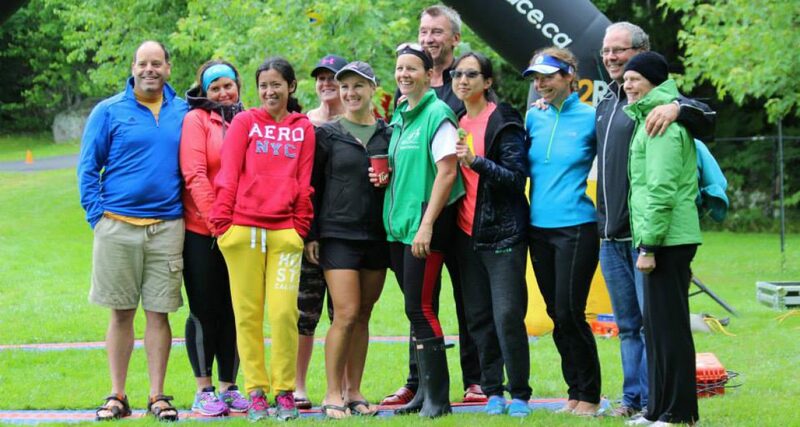 Also the Aylesford Triathlon is coming up soon and we have a home field advantage if we train on the course! So that said this week we will meet at Lake Aylesford at 5:30 for BRIX@SIX. Lifeguards are on duty until 6 PM so it would be good to get our swim in while they are there. Today is Track Tuesday and Tineke is set to meet everyone at 5:30 @ Acadia for the warm up. Friday with Banks Bikes (30+km’hr average) – they meet at the shop for 9 am departure for 1.5-2 hour ride. Saturday morning female riders can meet at Valley Stove & Cycle for the Women’s Ride at 9:45 am – they are up to about 50km and around 23-25 km/hr. Sunday is an open water swim and the time of day is up for discussion – last year we found the early evening to be good, but perhaps a “floating” time would work? Share your thoughts if you are keen to take part! This week we will aim for 4:30 PM to give everyone time for a ride or run before hand.